Stackable chair with solid seat, sling seat or synthetic teak seat. 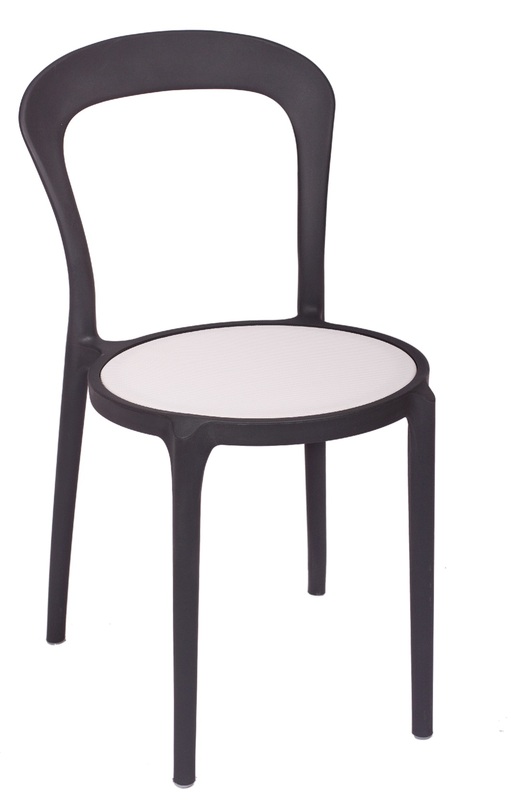 UV resistant resin/fiber glass blend with gas injected legs give this chair great strength. Frame colors – olive, white, black, charcoal (solid seat part of the frame). Sling seat colors- green, white, black, grey, silver, synthetic teak.